The large paper-bound book contains 492 pages and includes articles on a broad scope of topics on Orthodox Christianity: teachings, history, dogmatics and morality. The reader is offered an all-encompassing overview of the Orthodox faith, its essence and meaning, and most importantly, advice on its practical application in daily life. One might say that this compendium is a “mini-course” on Orthodox seminary training. 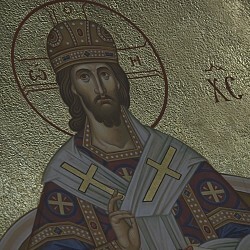 Chapters include the Principles of the Orthodox Faith, the Orthodox Church, “What is Most Important?”, Faith as a Key to Divine Treasure, One God in the Glorified Trinity, The Creed-a Short Explanation of the Orthodox Faith, The Holy Spirit in the Variety of Gifts, St Seraphim on the Acquisition of the Holy Spirit, the Exceeding Power, Following Christ, The Spiritual Life in the World, The Most-Holy Virgin Mary, Angels, The End of the World, The Sermon on the Mount, Love, Sorrow in Our Lives, Humility and Pride, Chastity, Marriage or Free Love?, Rearing Children, Life After Death and “On the Threshold of a New Millennium. 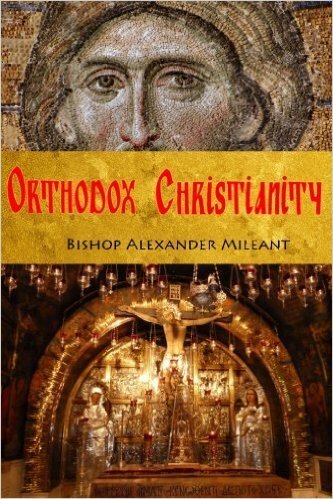 Bishop Alexander was born Alexander Vasilievich Mileant in Odessa, Russia in 1938. During the Second World War his father disappeared at the front, and his family, fleeing the Bolsheviks, went to the West. They lived in Prague, in Rome, and finally in Buenos Aires, where the young Alexander received his primary education and then completed a seven-year electro-technical school. He worked as a machine draftsman for several companies. He then enrolled in Buenos Aires University. From the age of 8, Alexander served as an altar boy under Archbishop Panteleimon, then under Archbishop Afanassy, who took him under his wing and gave him three years of formal theological training. Vladyka Afanassy possessed a great theological library. Wishing to read the works of the Holy Fathers in the original, Alexander first learned modern Greek, then ancient Greek. At the end of 1963, Alexander enrolled at Holy Trinity Seminary in Jordanville, NY, from where he graduated with a Bachelor’s Degree in Theology in 1967. A year earlier, Archbishop Averky (Taushev) ordained him to the diaconate , and during Great Lent, Metropolitan Philaret (Voznesensky) of blessed memory, ordained him to the priesthood and assigned him to the Protection of the Holy Virgin Russian Orthodox Church in Los Angeles, where he served as rector for 31 years. From 1971-1985, Fr Alexander led several youth pilgrimages to Greece and the Holy Land. While spiritually nourishing his flock, Fr Alexander continued his scientific education, receiving a Bachelor’s Degree in Electronics in 1978, then a Master’s Degree in Electronics, and finally, in 1983, an Engineer’s Degree from the University of Southern California in Communications. He worked in the Jet Propulsion Laboratory of NASA. His lay work enabled Fr Alexander to become an expert in computers, which in turn helped him publish numerous missionary pamphlets which enjoyed great popularity in Russia and abroad. Today there are over 300 brochures published in Russian, English and Spanish on Orthodox Christianity. In 1995, Protopriest Alexander was tonsured a monk in Holy Trinity Monastery and given the name Alexander in honor of Holy Martyr Archbishop Alexander of Kharkov , who died in prison in 1939 (until then, Fr Alexander bore the name of St Alexander Nevsky, on whose feast day he reposed). On May 28, 1998, Archimandrite Alexander was consecrated a bishop at the Synodal Cathedral in New York and appointed Ruling Bishop of Buenos Aires and South America. After a lengthy and heroic battle with cancer, Bishop Alexander reposed in the Lord on the night of September 12-13, 2005.